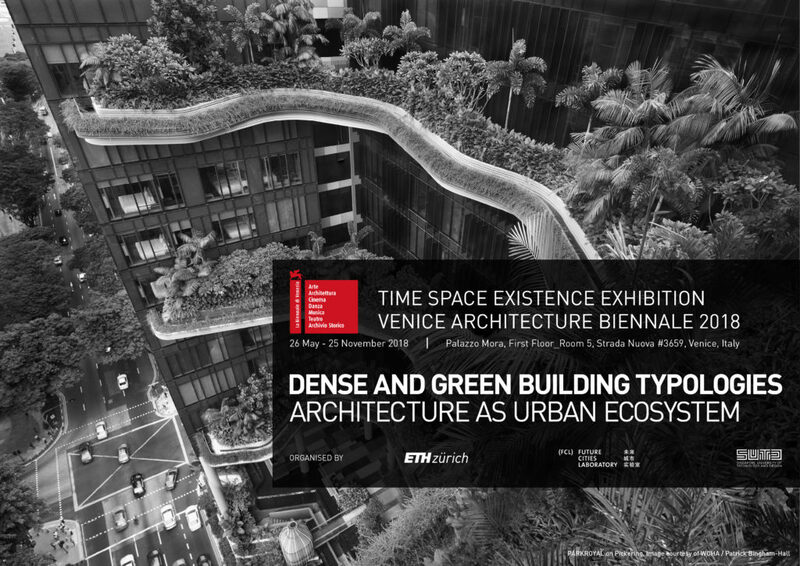 Dense and Green Building Typologies is featured at the 16th Venice Architecture Biennale. To download the press release click here. Contemporary architecture and urban design practice is increasingly exploring the integration of green spaces in large-scale buildings, producing new typologies for high-density contexts that include public space, extensive sky terraces, sky bridges, vertical parks, roof gardens, and other ‘green’ components. Combinations of all these often applied to mixes of residential, civic and commercial programmes, conjoin at times to produce ‘vertical cities’, in which the building section becomes what the horizontal plane has entailed up to now. Density and sustainability here are not contradictory but rather mutually dependent and synergistic. Urban design and architectural benefits: the qualitative and quantitative benefits of dense and green building typologies to mitigate negative effects of high density. Environmental benefits: the performance of dense and green building typologies in terms of thermal comfort, heat gain, urban heat island effects, air quality and noise pollution. Economic benefits: the role of dense and green building typologies in land value appreciation. Design strategies: the integration of Work Packages 1-4 to develop innovative approaches to high-density architecture and urban design. Work Package 3 is in part be based on the study of public space evolution completed in FCL phase 1. The scope of this earlier research is extended to cover civic programmes including residential, institutional and commercial buildings. Through a series of comparative case studies of existing projects, relevant information is collected through on-site investigation, observation, interviews and surveys, and analysed via quantitative and qualitative approaches. The research as a whole develops strategies for the integration of green spaces into the design of buildings in high-density environments. It develops tools and recommendations for policy makers, building owners, architects and engineers that promote dense and green building typologies in Singapore and beyond.